We no longer carry the 1986-93 Mustang Professional Products Typhoon Intake Manifold, EGR Spacer, Throttle Body 65mm Satin. 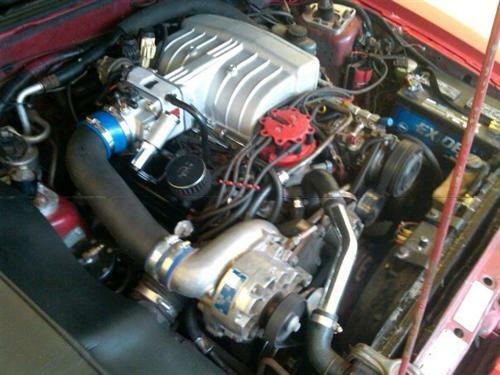 Check out 1979-1993 Mustang Intake Manifolds for an updated selection. This kit is sure to add some pep to your pony! Includes a polished 5.0L Typhoon EFI intake, Satin 65mm throttle body & a Satin EGR Spacer. The new Professional Products Typhoon intake manifold kit for EFI Mustangs is a breakthrough in styling and performance. Available in show-quality polished or satin finishes. Ideal for high-performance street or strip use. 50-state legal E.O Number included. 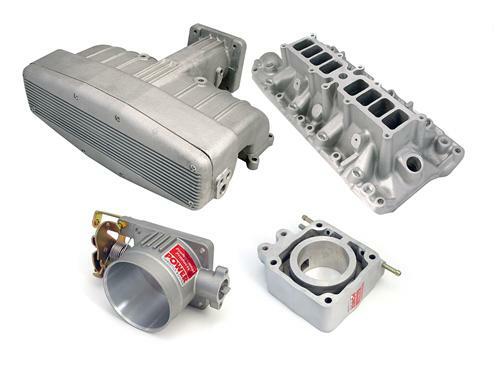 You won't find a better looking, more powerful intake at this price! Perfect for 1986-1993 Mustang owners because it includes 65mm Throttle body & EGR Spacer for proper fit. Upper and lower manifolds as a kit or seperately.